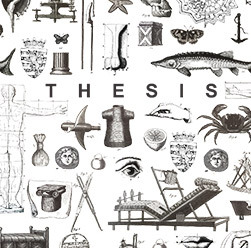 We are THESIS TRADING CO LTD (trading as THESIS) a company registered in Limassol Cyprus under registration number ITC 12043205 W with registered address 207, St Andrews Street, PO Box 51997, Limassol 3036 Cyprus. Purchased items from our showrooms will be delivered according to our delivery program at the time of purchase, normally delivery can be between 2-15 days after payment of the order. One of our sales personnel will contact you to arrange a suitable delivery. For deliveries abroad please contact us by sending an email to info@thesis.com.cy or alternatively see the Contact Us page on this Site. We cannot guarantee product availability and products may not be available for immediate delivery. We reserve the right, without liability or prior notice, to revise, discontinue, or cease to make available any or all products or to cancel any order. If there is any revision, discontinuance, or cessation, we may, at our discretion cancel your order. THESIS TRADING CO LTD is committed to safeguarding your privacy and handling your data in an open and transparent manner. Looking after the personal data you share with us is hugely important to us. We would like to reassure you that your privacy is the first priority for us and that your data is safe and secure. We, therefore, want to be clear how we use it, in order to offer you better and more personalized shopping experience. When you register to our website we ask for your personal data (such as first name, last name, city, email address and phone number) in order to inform you about events, offers, sales, news or newsletter sign-ups. Anytime you contact us about our services either by phone, email or post or when you speak with us through social media, we may also collect any personal data you provide yourself. If you sign up to our website, we will request your account login details, such as username and the password that you have chosen. We may also need to collect and process personal information about you including your address and contact details such as your telephone number. If you place an order with us, we will also ask for a delivery address. We may ask you for this information through our website, or via our shops, or we may collect this information through your email or other communication with us. We may automatically collect non-personal information about you such as the type of internet browsers you use or the site from which you were linked to our Website. This information cannot identify you and it is only used to assist us in providing an effective service on our Websites. We use personal data to make our products and services available to you. In this way, we manage the accounts you hold with us. Personal data assists us in processing your orders. We need to process your personal data so that we can manage your customer account, provide you with the goods and services you want to buy and help you with your order queries. Processing of personal data also helps us to develop and improve our product range, services, stores, information technology systems, know-how and the way we communicate with you. This allows us to serve you better as a customer. We use personal data to assist us in personalizing your shopping experience with us. We are doing this by using your online browsing experience as well as your in-store and this helps us in better understanding you as a customer and provide you with personalized offers and services. We may also contact you in order to manage promotions and competitions. THESIS trading we are committed to respecting, protecting and maintaining your privacy and thus, we have a lot of measures in place. Some cookies are necessary so you should not disable these if you want to be able to use all the features of our Website. You can disable other cookies but this may affect your shopping experience. Also, you can choose not to accept Cookies but certain functions of our websites may not work correctly or at all if you set your browser not to accept cookies. When it comes to Cookies you have a lot of choices, you can use your browser settings to accept or reject new Cookies and to delete existing Cookies. You can also set your browser to notify you each time new Cookies are placed on your computer or other devices. Cookies allow us to improve the way our Website works so that we can personalize your experience and allow you to use many of their useful features. When you visit our Website, these Cookies automatically log your IP address (the unique address which identifies your computer on the internet) which is automatically recognized by our web server. We use IP addresses to help us administer the Site and to collect broad demographic information for aggregate use. Your IP address is also logged when you make a purchase as a fraud prevention measure required by the payment gateway. Receive access to your personal data. This enables you to e.g. receive a copy of the personal data we hold about you and to check that we are lawfully processing it. In order to receive such a copy, you can contact us info@thesis.com.cy or alternatively see the Contact Us page on this Site. Object to the processing of your personal data where we are relying on a legitimate interest and there is something about your particular situation which makes you want to object to processing on this ground. If you lodge an objection, we will no longer process your personal data unless we can demonstrate compelling legitimate grounds for the processing which override your interests, rights, and freedoms. To exercise any of your rights, or if you have any other questions about our use of your personal data, please contact us by sending an email to info@thesis.com.cy or alternatively see the Contact Us page on this Site. Ποικιλία επίπλων, υφασμάτων και αντικειμένων σε Λεμεσό και Λευκωσία. © Copyright 2013 - 2019 Thesis Co Ltd. All rights reserved. Subscribe to our newsletter and you'll get 15% off your first order, as well as news of our latest collections and special offers.